When her good friend Virginia Hayward’s father passes away, Hattie Davish rushes to her hometown of St. Joseph, Missouri. She’s looking forward to visiting the place where she grew up, even if the circumstances bringing her there are bleak. But upon her arrival, she learns that all is not well in St. Joe. In this 4th installment we travel back to St. Joseph, Missouri and the school Hattie Davish attended, Mrs. Chaplin’s School for Women. She was their star pupil and gave her the training she needed to become a personal secretary. Her studies have also helped her become quite a amateur detective too. There was plenty of deception going on throughout the entire book. Hattie’s homecoming turned out very different from anything she ever imagined. Virginia was her best friend. When Hattie received word that her friend’s father had passed away she made immediate plans to return to Missouri, but Virginia was very surprised to see her there. If Virginia didn’t send her the funeral notice who did? More questions arise when she peers into the casket. While the man’s face was disfigured by the accident that killed him Hattie doesn’t think the body belongs to Virginia’s father. Who else would it be? Hattie also hears rumblings about strange happenings at the school. Could all these things be connected? This is a fantastic story. Hattie is such a strong woman with strong principles and an excellent role model. It is easy to see why Mrs. Chaplin thinks so much of her. All the secondary characters were so wonderfully written. I formed immediate images of just what they looked and acted like. The author takes Hattie and the others into some very unique and a couple down-right scary situations. There was a part that was like watching a horror movie where you find yourself yelling at the screen, “NO! Don’t follow him!” Turn around! Come Back!” Okay I was yelling in my head but I was loudly yelling in my head! We are taken to the Hayward home, the Chaplin home, the school, a historic landmark, and even to a lunatic asylum. We also travel the streets of St. Joe and along the river. All perfectly described and so easy to envision. Things moved slower back then but this story is very fast paced with more than one edge of your seat moment. I absolutely love the way Anna Loan-Wilsey writes. I am ready for book #5 right now! As a biologist, librarian and then information specialist, Anna Loan-Wilsey tracked down mysteries every day. 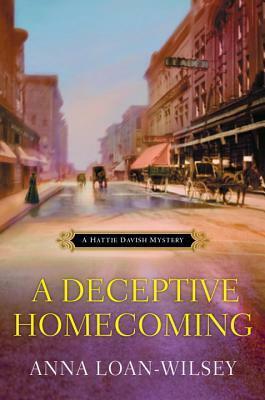 Now as the author of the Hattie Davish Mysteries Series, featuring a traveling Victorian private secretary, she enjoys creating them. Anna earned her B.A. at Wells College in Aurora, NY and had several poems published in their literary magazine, The Chronicle. She earned her M.L.I.S. from McGill University in Montreal, Quebec, Canada. 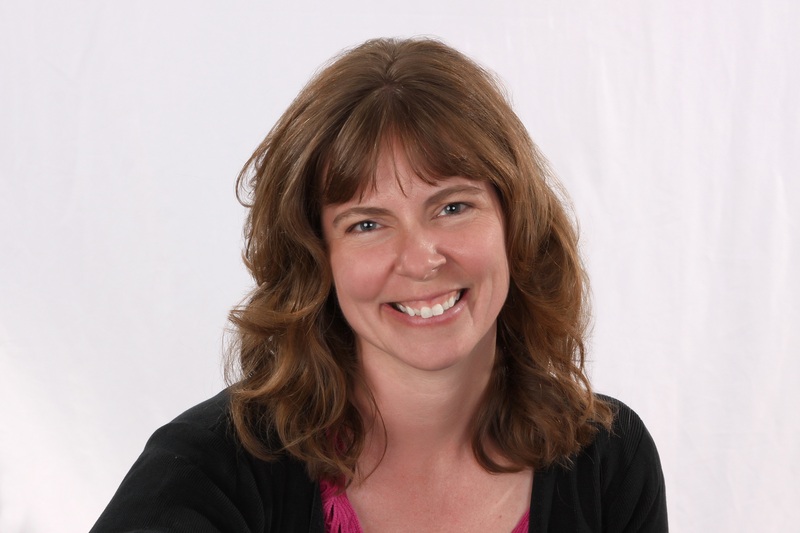 She has worked in academia much of her life including Syracuse University, University of Mary Hardin-Baylor, Texas A&M University-Commerce and most recently, Iowa State University, publishing in several scientific peer-reviewed journals. A Lack of Temperance , her first novel and first in the Hattie Davish Mysteries series, was the #1 bestselling historical mystery on Amazon.com. She is a member of Mystery Writers of America and Sisters in Crime. A Sense of Entitlement , the third in the series, came out out last summer. Anna lives in a Victorian farmhouse near Ames, Iowa with her inquisitive four year old, her old yellow dog and her very funny, very patient husband, where she is happily working on Hattie’s next adventure. Love your Mysteries, I’m a big Fan, keep them coming, thanks for this awesome giveaway. Would love to read this. I’m across the river in Illinois but have traveled throughout Missouri so I know the area where the book is centered. thanks for the chance. This sounds like an excellent historical mystery – and I do enjoy well-researched mysteries that include a historical setting. Each review I read shows me that your series exceeds that – would love to read it! I have picked up the first in the series and added to my TBR stack, but can’t wait to read this one! Looks like a good historical cozy, thanks for the chance to win! I’ve not read many historical cozies. This should be fun!